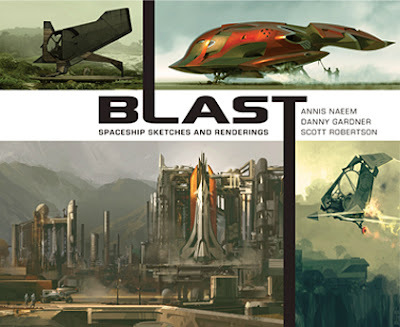 I recently contributed to BLAST: Spaceship Sketches and Renderings, the latest Design Studio Press opus featuring the work of Scott Robertson, Annis Naeem and Danny Gardner. It was great fun to jam on a project with few design limitations and a solid crew. I seized the opportunity to do some sci-fantasy genre mashups, one of which was selected for Spectrum 19. It's in ye olde scifi bookshop now: BUY IT.